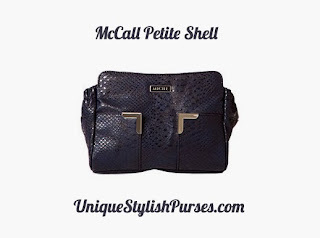 Va-va-voom blue-violet embossed snake faux leather along with Art Deco-style silver hardware details make the McCall for Petite bags a must-have for your Miche collection. This absolutely stunning Shell will take your breath away, promise. End pockets.